In this thread, we will be discussing anything and everything to do with the S.H. 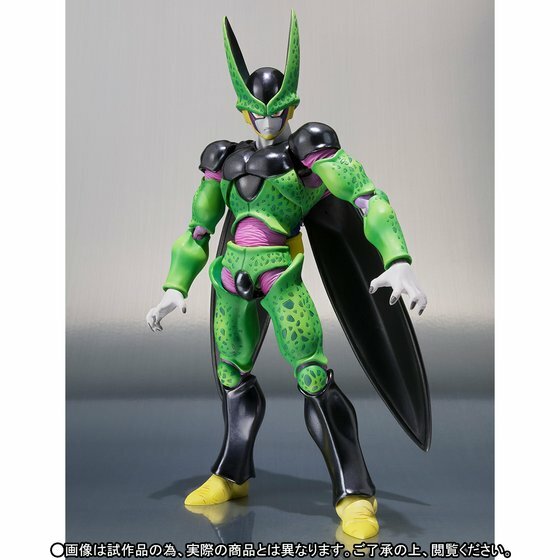 Figuarts Perfect Cell (Premium Color Edition). It's OK to go off topic, but let's try and mostly stay on the topic of Perfect Cell. Thanks! I'm really pumped that they included the Kamehameha. That would have been tragic not to include. I think the only accessories that I can't see are his martial arts hands. That pink/purple shade is weird. Usually his inner parts are the same colour as his facial lines - why did they put two different colours to begin with, let alone make one of them strangely bright? And if I'm not wrong, the knee and elbow joints are a different purple again! WhuUuUuUut?? Still, the colours don't take away from the construction of this figure, which is masterful like last time. Prerodered!! Can't wait for him!! I'm going to be picking up awakening Goku around the time Gohan gets released. The two of them would probably look great together since they both utilize the new technology along with the damaged clothes. Cell would probably look great along side of them both. 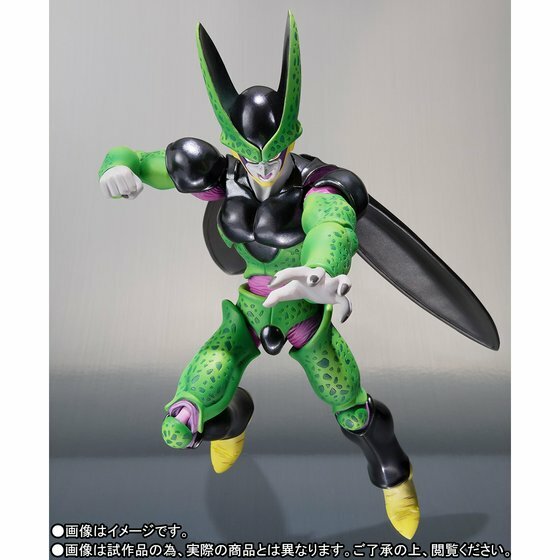 Does anyone know how much the original Cell was when it was released? All the preorder sites have this one for like $60 which is a little crazy I thought but I guess it's because of the Kamehameha. Yes! This premium color actually looks better than the original IMO. Which is surprising based on their previous track record (Vegeta and Trunks who both had bad looking hair). 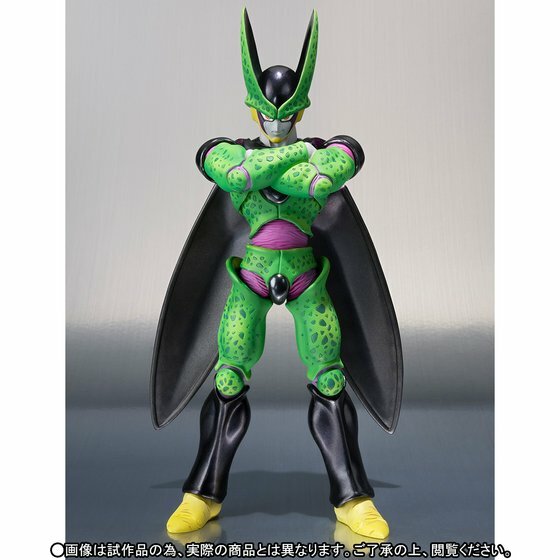 If I decide to shell out a decent amount of money for SH Figuarts again, I'll certainly consider this Cell. I won't ever be getting the original because it has soared around $200, so maybe I'll buy this and hope the price surges upwards. Buy low, and if I sell, it will be sell high. Mr Perfectionist is back with a bang! Hmmmm looks better in that video for some reason, like the hue of the green seems more dull-ish/matte + a bit lighter which looks better imo. Even though he isn't 100% anime accurate and they definitely took some stylistic liberties with his colors, he does look better than the OG. Imo, the first of the PCs to actually turn out better. Just preordered this guy. With this one and SSJ4 my collection will be almost complete. Almost complete? 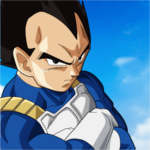 So are you not interested in the SS4 Vegeta and the ultimate Big Bang Kamehameha SS4 Gogeta? That's the best looking transformation and don't forget Mr Omega Shenron. Just thinking about these figures getting a release makes me very happy. 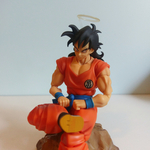 Oh and i like your display picture, had tried to get one back when I had a SS4 Goku as a display but never did find one. You have a very cool one, it's exactly what I would have wanted. Whoohoo! I told you guys they'd do a recolor on him eventually. Finally. 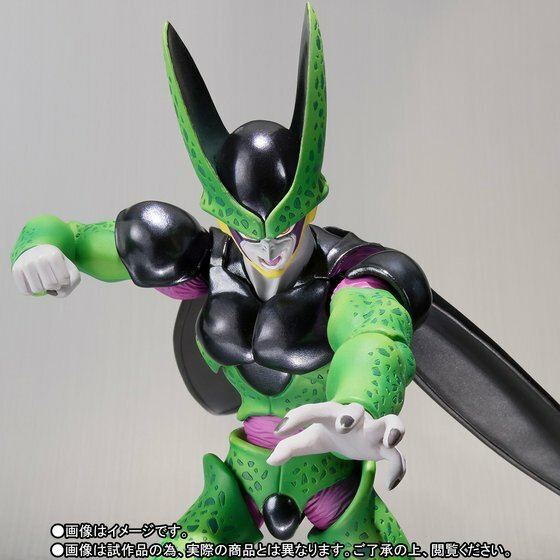 I can't wait to get my hands on Cell. 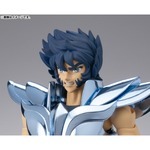 I'm planning on getting this, but I wonder if I should also get the Figurerise model...? I love the colours on this one, but the figure still suffers from being way too short. With the Figurerise being in a slightly larger scale, I think that one might actually be closer to the right size. I was thinking the same thing. 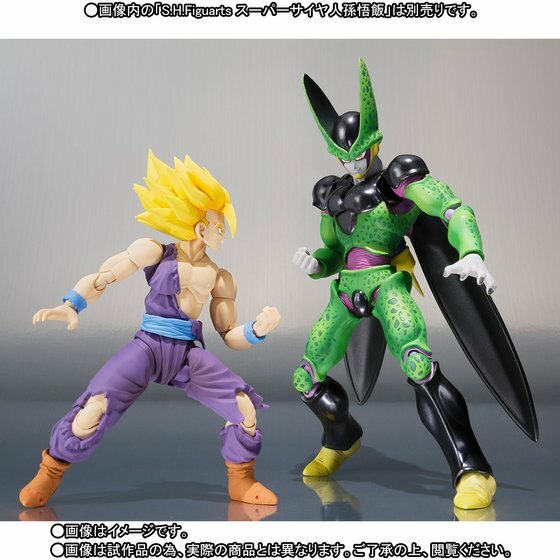 I might get both and just display the Figurerise one with the Figuarts Gohan. Honestly I find the molding to be far superior on the Figuarts figure. I am biased, but I still think both versions of Figuarts Cell beat out the Figurerise version. 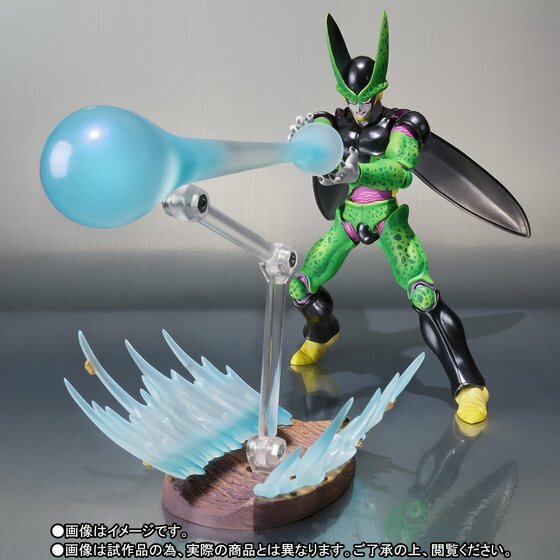 Figurerise Cell just doesn't look nice. But that's just my opinion. Another thing, how big is Figurerise Cell's head compared to the head sizes of Figuarts figures? If his head is too large, he won't "scale" with the Figuarts even if he's the right height. I'm not saying it's impossible, I'm saying I don't know if it would work. I agree with Wave, I don't like the style of the figure-ise. Also I know how time consuming it is just to put together the Yo-Kai Watch Bandai model kits. I really don't have time to sit for an hour building a Cell, when the Figuarts comes pre-assembled!